As the month of June rolls to an end, it marks five months into my recovery from BED. My first counselling session seems so long ago. When I look back on how far I’ve come, I am so proud. It’s becoming easier to forget what my life used to be like, to remove myself from my past. But I haven’t forgotten. I still remember crying at my desk at night, soaking my textbooks in tears, wishing I knew how to stop. I remember sitting alone with a bursting belly; sweating, swollen, aching, ashamed. I remember looking in the mirror, cursing, staring at my body with unbelieving eyes. I remember feeling like the weight of my guilt and everyone’s expectations of me were smothering me to death, and almost wishing that it would. I don’t wake up dreading the day ahead anymore. I don’t wonder how on earth I’m going to make it through the day and how much I’ll hate myself at the end of it. I have more energy to enjoy life and the people around me. The urge to binge strikes less frequently and it has lost some of its power. I am usually able to satisfy my cravings with a snack, rather than giving in full throttle. I am able to bounce back from a setback right away and I no longer fall victim to all-or-nothing thinking. I still binge about twice a month, but only a few months ago, twice a month totalled the number of days I didn’t binge. The quantity of food I eat during a binge has also considerably decreased. I would say the three things that I still struggle with most right now are: 1) waking up in the middle of the night to overeat or binge, 2) body image and self-acceptance, and 3) forgiving myself. I am also in the slow process of reducing my average daily intake to a weight maintenance level. I’m starting to feel confident in my body again. I like that my pants now hug my thighs and the gap between my knee-high boots and calves is no longer wide enough to store a banana. I’m still not happy with the giant muffin top hanging over my pants and the rolls of fat layered at my sides, but at the same time, they make me feel like I’ve joined a convivial legion of women everywhere who complain about the same thing. I like that the focus is now off my weight – no more “What have you eaten today?” or “Oh my god, how are you so skinny?” interrogations, no more snide “You really need to eat a few cheeseburgers”-type remarks. I feel hopeful about the future. I can envision a future where BED no longer gets in the way of living my life, when I can finally get off the roller coaster and lead a stable life and maintain a stable weight, and where the urges are murmurs that can be muffled without an exhausting fight. For people out there who are fighting BED, I hope that this post has given you a realistic snapshot of what a partial recovery can look like. I remember looking for a post like this at the start of my recovery; I wanted to know what I was working towards, approximately where I should set my expectations, and how different my life would really be. However, none of what I have achieved in recovery so far could have been achieved without strong commitment, facing fears, and complete and utter honesty. Get cognitive-behavioural therapy. Find or build a support group. Keep a hyper-accurate food diary. Try every strategy out there, including the stupid-sounding ones, for at least two weeks. Throughout my recovery, my desire to beat BED has never once wavered. I may have let myself down many times along the way, but I have always stayed determined to keep moving in the right direction. I wish you the courage, mental stamina, and resilience to join me. Congratulations! Thanks for sharing and I wish you many more to come during your road to recovery. Thanks for raising mental illness awareness. Thank you so much! I applaud your work on mental illness awareness too. Congratulations Kristen! 5 months are awesome and I wish you a lot of courage to continue this. Thanks Martina! I really appreciate your support. Thanks Kelsy. I’m happy to share my journey with compassionate people like you. Thanks for such an honest post Kristen! I appreciate your realness and vulnerability! 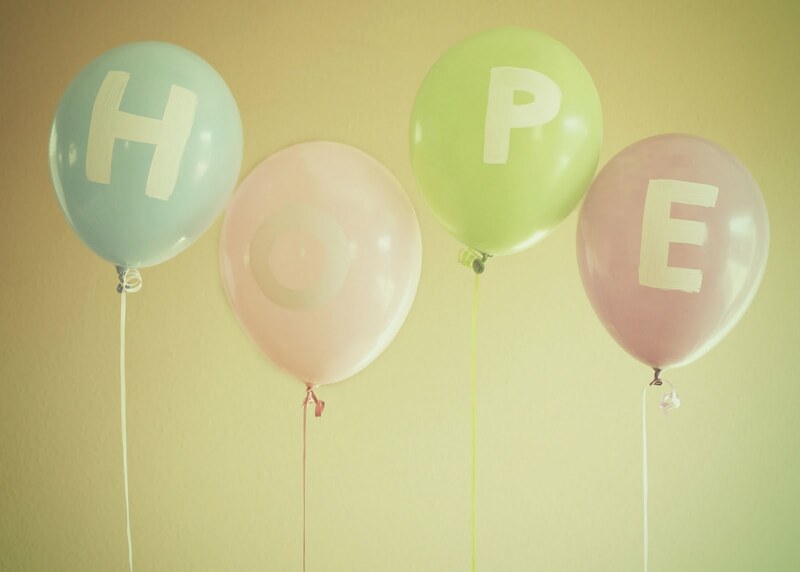 HOPE….yes! I just spent some time praying for you. Aw, thank you Lori! You are too kind. Congratulations Kristen! You should be very proud of yourself. You are an inspiration. Thanks Marnie! I’m so happy to be able to celebrate my small victories with someone who really understands what I’m going through. I really do, and it’s so great to see how far you’ve come. It is truly inspiring, and it gives me hope.